Provide students with cut-outs of shapes, such as parallelograms, squares, triangles, trapezoids, and rhombus, or instruct the students to cut out these shapes. 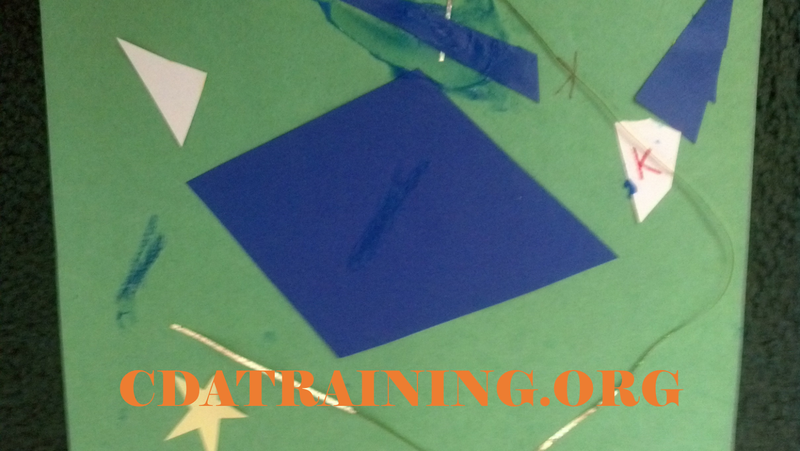 They can then glue the shapes to a piece of construction paper to make a kite flying scene. Ever great kite has a tail, include some string for the children to decorate their kite with. You can discuss what the shapes are, what color they are, or how many sides they have.